Creative Landscaping has been making homes and commercial properties beautiful for thirteen years now. Through hard work, listening to clients, and a fantastic referral record, Creative Landscaping has grown to be a local leader in residential and commercial landscape projects. Your surroundings are important – which is why we pride ourselves in respecting your property and your neighbors property during and after the job. 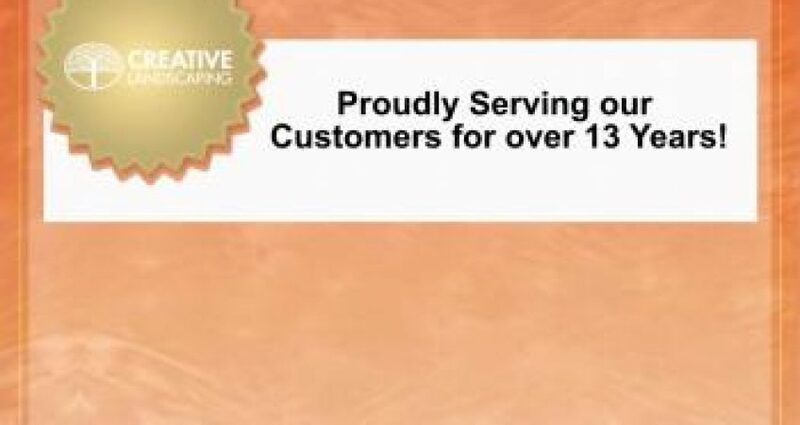 We’d like to thank all of our customers. Feel free to browse our Project Gallery page to see how we can help you then browse to the Landscape Design Interview to get things started.